The Ritz-Carlton, Kapalua in Hawaii is offering a new custom beer, Shorebreak Session Ale, available exclusively at the resort. These U.S. destinations and resorts are sure to entice any traveler with a penchant for specialty food and drink offerings. 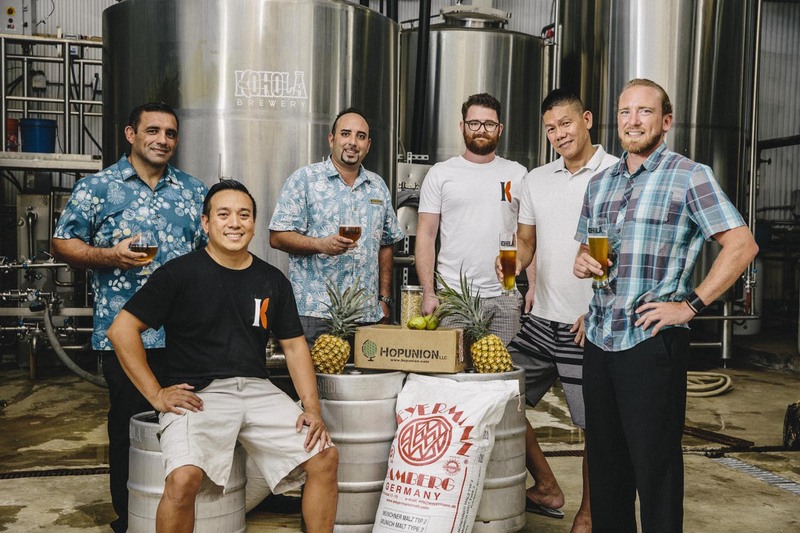 In partnership with Maui-based Kohola Brewery, The Ritz-Carlton, Kapalua in Hawaii is exclusively offering a new custom beer, Shorebreak Session Ale, throughout its five food and beverage outlets, including The Banyan Tree, Kai Sushi, Alaloa Lounge, The Pool Bar & Cafe, and The Burger Shack. A light-bodied Session Ale, this custom brew is a blend of island-inspired ingredients, a variety of hops—Cascade, Citra, Mandarina Bavaria, and Magnun—and elements of ruby red grapefruit, peach, passionfruit, guava, lychee and pineapple. In addition to mimicking the tropical ambiance of the resort, the inclusion of pineapple as a key ingredient in Shorebreak Session Ale taps into the resort’s history as a former pineapple plantation and home to the Maui Pineapple Company. Guests can enjoy this beverage throughout the resort, by the pool, on the beach or even in the comfort of their room, be it an Ocean View Room or a newly renovated Residential Suite. Rates start at $499 per night. For more information, call (800) 262-8440 or visit ritzcarlton.com/kapalua. 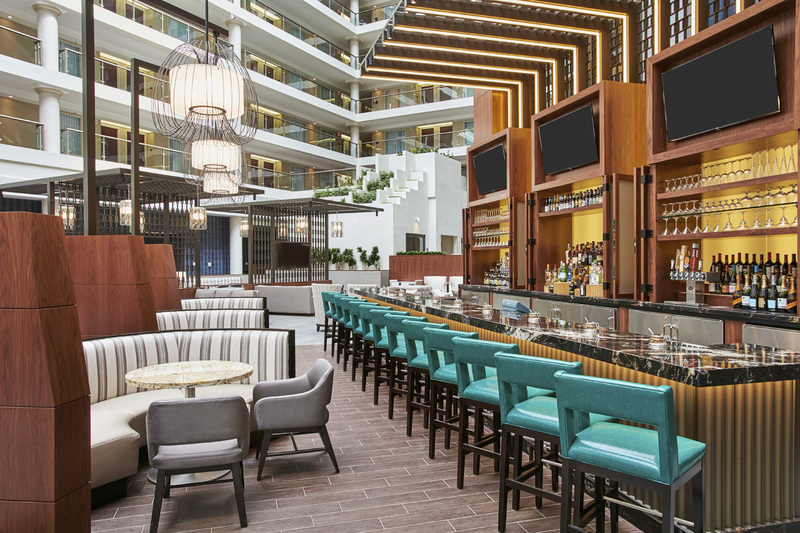 The District Tap restaurant at the Embassy Suites by Hilton Washington DC Georgetown is the ideal spot for a night cap after a day of exploring the area’s bustling food scene. From Vietnamese to Ethiopian, Washington, D.C. runs the gamut of restaurant options. For a taste of the district’s happening restaurant scene, travelers should visit Georgetown, D.C.’s “foodie” neighborhood offering over 140 restaurants. We have it on good authority that &pizza is a must-try hotspot, serving MSG- and high fructose corn syrup-free pies made with organic dough, hormone-free dairy products and fresh produce that is locally sourced when possible and adjusted for seasonality. For guests’ stay, book the Capital Coolcation package at the all-suite Embassy Suites by Hilton Washington DC Georgetown, which comes with two specially crafted Coolcation cocktails, unlimited coffee and hot cocoa, streaming WiFi and late check-out. The recently renovated 197-suite property is ideally situated between Dupont Circle and Georgetown, in the heart of Washington, D.C. within walking distance of many restaurants, boutique shops and popular attractions in the U.S. capital. After a night (eating) out on the town, suggest your clients get a night cap at the hotel’s District Tap restaurant located in the atrium. Rates for the Capital Coolcation package start at $169 per night. For more information, call (202) 857-3388 or visit embassysuites3.hilton.com. Grande Lakes Orlando’s Whisper Creek Fables series of farm-to-table experiences includes a Farm to Fare option for couples, featuring a romantic dinner for two. 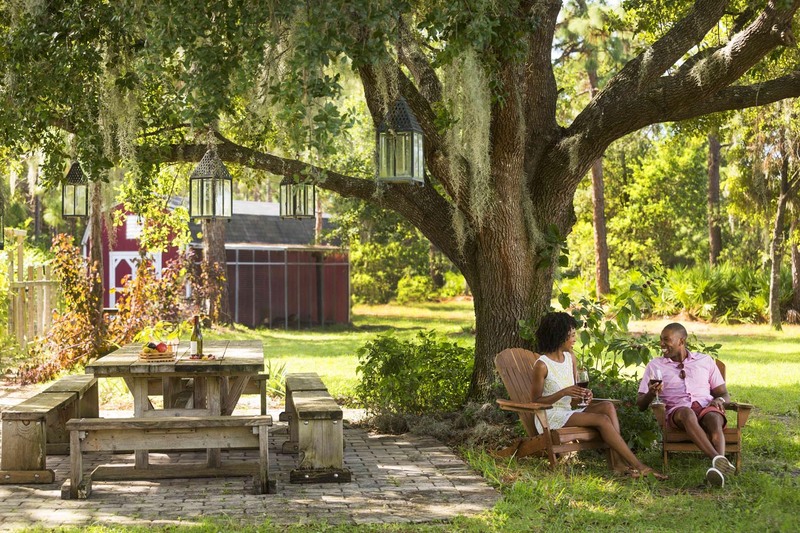 Grande Lakes Orlando has announced the next phase in its Whisper Creek Fables series of farm-to-table experiences hosted on the property’s 18,000-sq.-ft. Whisper Creek Farm. The Central Florida resort, comprised of The Ritz-Carlton, Orlando and JW Marriott Orlando, is offering guests a hands-on opportunity to learn how ingredients travel from meadow to dinner plate. Whisper Creek Fables experiences include Farm to Family, featuring an extensive tour of the grounds, a guided farming lesson led by the resort’s farmers, and a sampling of some of the fresh-grown produce onsite during a picnic lunch; Farm to Fare, where couples are able to handpick ingredients that will be transformed into a romantic dinner for two as part of a special chef’s table experience; and Farm to Foam, where brewmaster Aaron Libera gives guests an overview of the garden fruit- and herbs-fueled onsite beer production followed by a beer and bites sampling at Whisper Creek Farm: The Kitchen. Whisper Creek Fables is available year-round, weather permitting, for groups of 4 to 100 and must be booked seven days in advance. Rates start at $1,000. The 500-acre Grande Lakes Orlando features the 582-room Ritz-Carlton and 1,000-room JW Marriott property. Guests at both hotels can enjoy all the facilities and services at Grande Lakes Orlando, including an 18-hole Greg Norman-designed championship golf course and the 40,000-sq.-ft. Ritz-Carlton Spa. Call for rates. For more information, visit grandelakes.com.